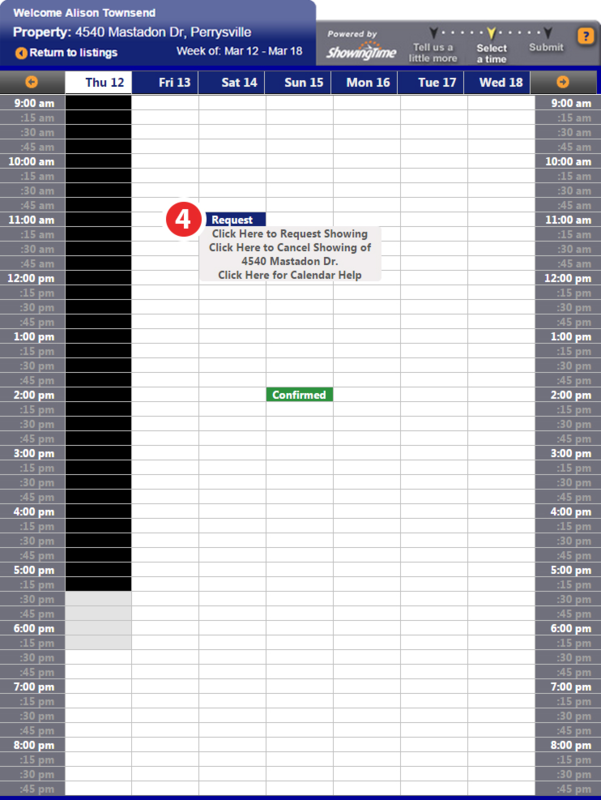 There are two ways to schedule single showings. Both provide the same features - you choose the easiest way to access it. 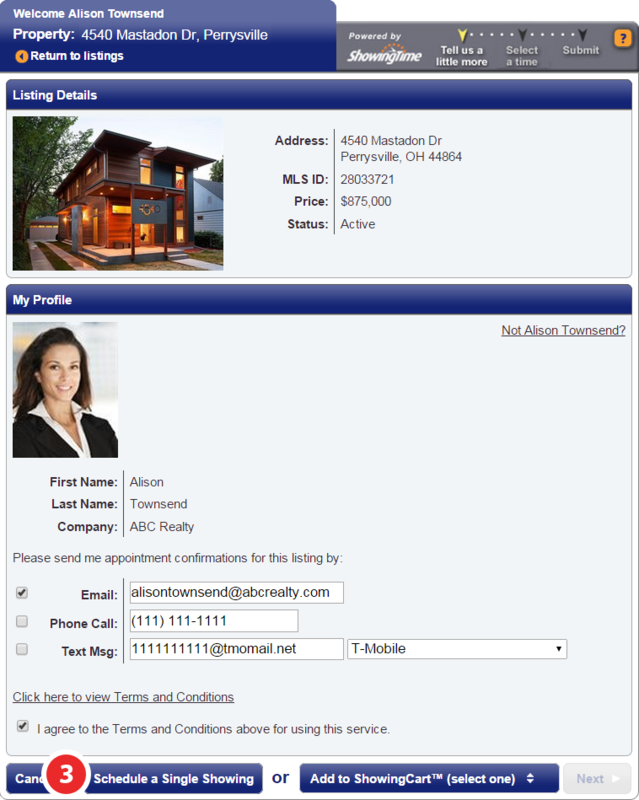 Login into your MLS and find the listing. 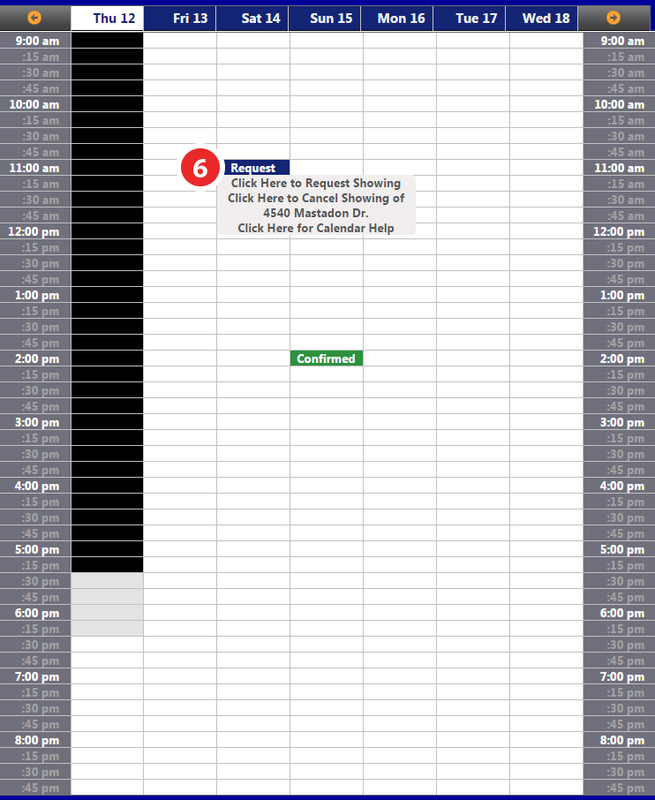 Click on the Schedule a Showing link, which will take you to ShowingTime's scheduling screen. 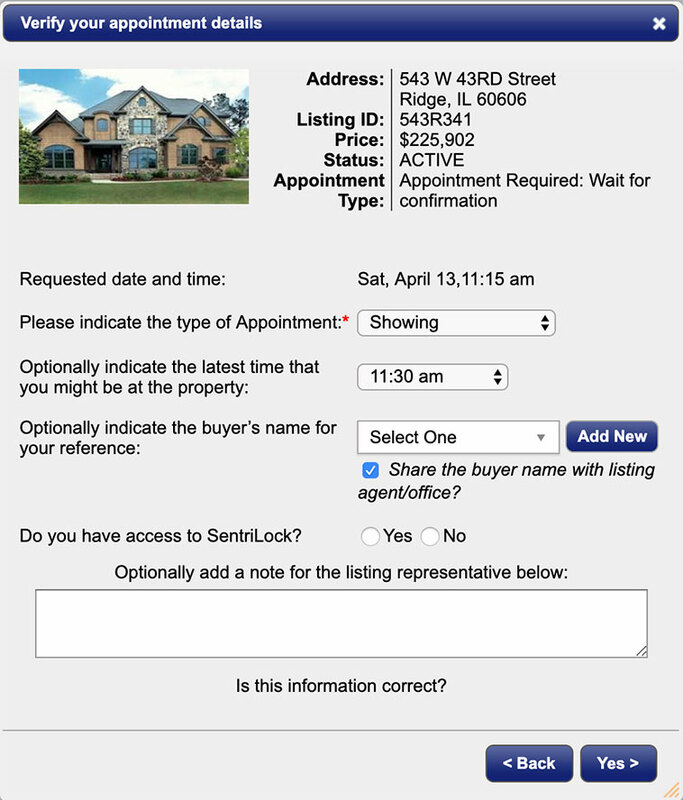 Review the listing details, confirmation preferences, and agree to the terms then click Schedule a Single Showing. Select the date and time slot you would like to request. If you have already made a request on the listing, you can access it from this screen and make changes as necessary. Please Note: Your appointment time may not be exclusive to you. 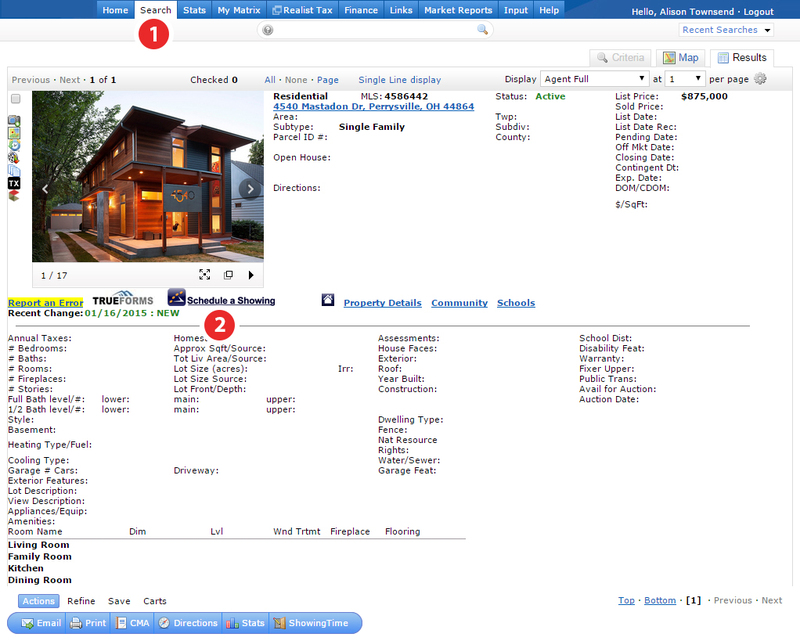 Some listings can be set to allow overlapping showings. Verify your appointment details, then click Yes. Buyers information is not required. Note: Agency Type and Buyers Name may be required in some markets. 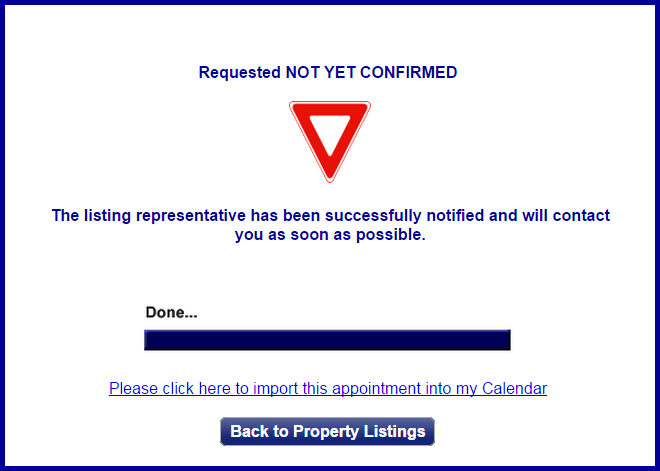 Populates when the appointment does not require confirmation. 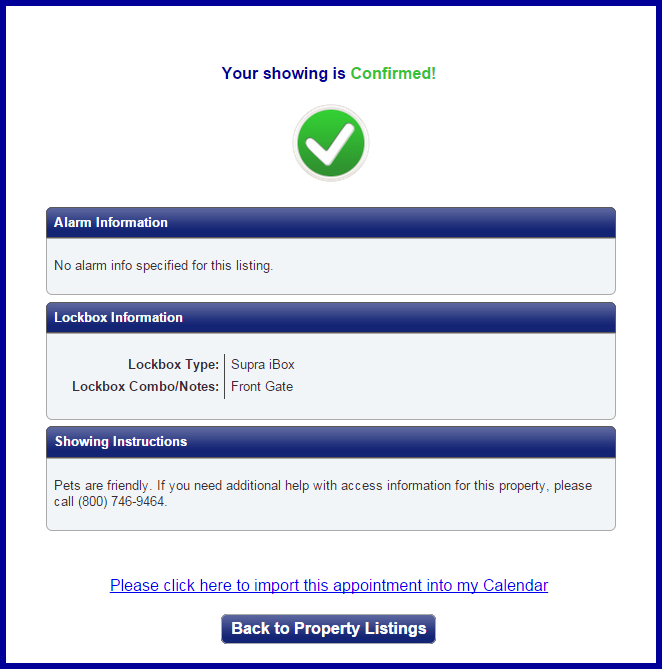 To get started, Authenticate into ShowingTime through your MLS, then click on the Showings tab on the left menu bar. From the sub-menu, click on the Make New Request button. Search for the listing using the Street Number, Street Name, City or MLS Number. Or click Advanced Search for additional options. 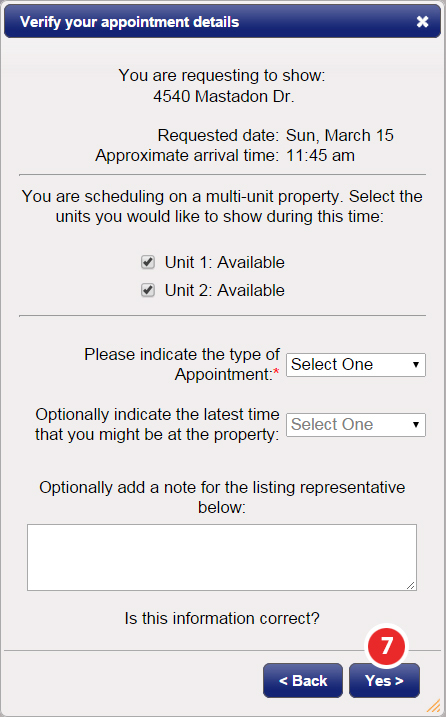 Select the listing to schedule a showing. 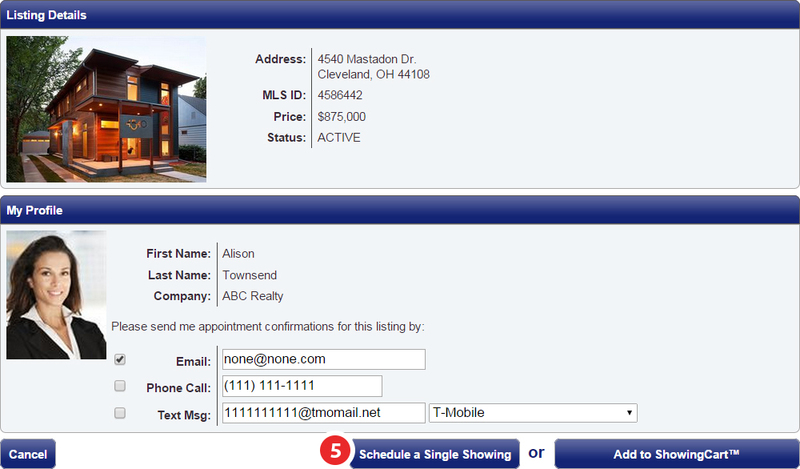 Review the listing details and your confirmation preferences, then click Schedule a Single Showing. Select the date and time slot that fits best.